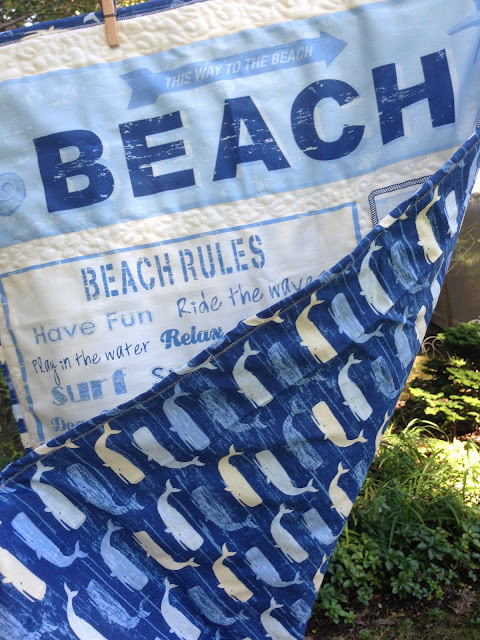 As the weather turns colder, I try to keep that beachy feeling going a little bit longer... 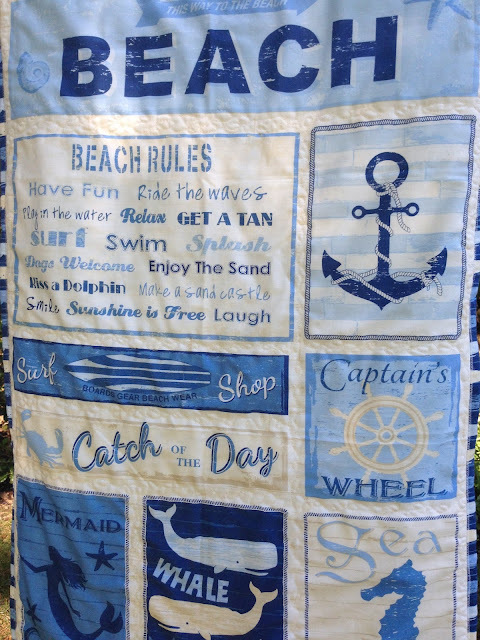 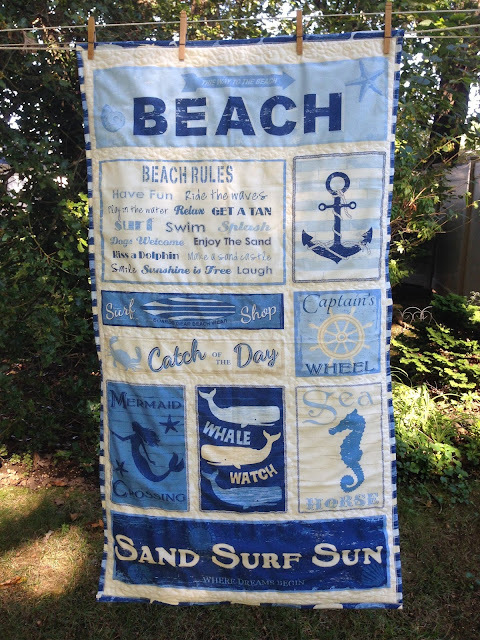 This beach quilt was made as a wall hanging for a beach house. I love the surprise whales on the back!